As PSU general insurers have formed an in-house third party administrator (TPA)- agency for settling health claims, it is expected that the new arrangement may also help in bringing more hospitals into the cashless treatment fold. The agency, Health Insurance TPA of India was formed as a joint venture of the four government- general insurance companies. This was following several complaints being received against private TPAs. "Expected to be operational this year, the government TPA is hoped to bring faster settlement of claims," said Milind Kharat, the Chairman of United India Insurance, one of the four government owned general insurers. He was in the city to attend a seminar hosted by Dalit Indian Chamber of Commerce and Industry (DICCI). Kharat said the new TPA will also lead to empanelling of more hospitals under the cashless system. It will also be used in getting data about hospitals which can be empanelled by the insurance companies for cashless treatment. The references given by the government TPA will be considered to be authentic enough as it is an in-house agency. With this it is hoped to empanel more hospitals for the cashless mode. Apart from it authorization of hospitals for cashless treatment on case to case basis is also expected to become faster with this TPA. It was seen that private TPAs were delaying the process, he said. Even if the hospital is not empanelled patients can get cashless treatment on case to case basis, on a recommendation by the TPA. Kharat said United India, is also planning to come up with an exclusive product for the small and medium enterprises. The details of the scheme will be put up before the Insurance Regulatory and Development Authority (IRDA). "So far there is no specific product for the sector. This will be a composite cover for all types of risks, from natural calamities to terror attacks. Even as there is a separate insurance plan for each risk, this one will bring all under one at special premium," said Kharat. A recent survey again restated that most middle-aged individuals are concerned about the rising medical expenses and their ability to fund it. The Times of India last week reported that a Nielsen survey of 30,000 people revealed that 54% of those above the age of 45, were worried about not having enough money to cover medical costs and they cited it as their main concern in life. Despite surveys adumbrating the ever increasing healthcare costs and the need for an adequate insurance cover, only a small per cent of the population (around 12%) has some form of health cover in India. What explains the dichotomy? According to insurance players, individuals continue to subscribe to ancient myths like 'I am healthy and I don't need any insurance cover' and 'insurance premiums are a waste if you don't fall sick and make claims regularly'. Some individuals also have an "extremely negative perception" about health insurance covers and insurance companies, some players add. 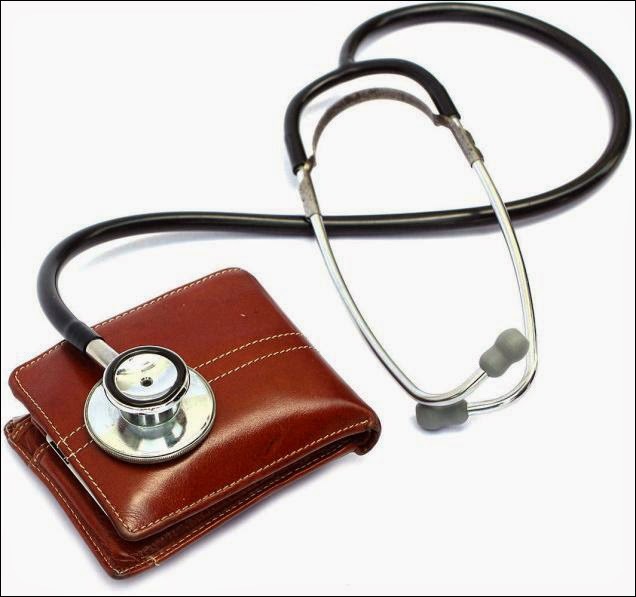 "Many individuals postpone buying a health cover because they don't see any immediate returns from it. General insurance covers are not return-based products, unless there is an eventuality there won't be any returns from them. Sadly, many people realise the importance of it only when they or their family members need treatment," says Krishnamoorthy Rao, MD & CEO, Future Generali India. "Many people also continue to believe that insurance companies reject claims arbitrarily, jack up premiums after a claim and so on. It is a perception issue that has got nothing to do with reality. There were many regulatory changes and insurance companies can't arbitrarily decide on these issues," he adds. Insurance advisors say they don't have to drum up the importance of health cover to their clients. The problem is the negative perception people have about them, health insurance companies, hospitals and third party administrators (TPAs). "I don't have to spend much time to educate people about the importance of health insurance cover. They already know it, but the real problem is to deal with their apprehensions regarding claims," says Gopal Jhunjhunwala, an insurance advisor with more than 20 years of experience. He says most people realise the terms and conditions of their policy or changes in them only when they make a claim or about to make one. This leads to disappointments and many sob stories of how health insurance was of no use. "The dubious practices of hospitals and TPAs are still a cause for concern. Many genuine claims get rejected. That is the main reason for the negative perception," says Prakash Praharaj, founder & chief financial planner, Max Secure Financial Planners. Avinash Patil (38) is a self-made man. Born in a small tribal village, his childhood was a struggle. When he got married to Asavari (now 38), the couple did not have even a roof over their heads. It was the local school teacher who rented a room to them. Today, Avinash is a successful insurance agent and motivational speaker. The couple has two children Hitarth (14) and Vedhasi (9) and they live with Avinash's parents. What are they saving for? The couple would require Rs 10 lakh for their children's education after five and 12 years. They want to create a corpus of Rs 8 lakh for their children's marriages after 15 years. They also wish to support Avinash's parents financially. The couple requires a corpus that can generate Rs 6 lakh financially for their retirement after about 25 years. They also wish to go on a foreign trip after two years. The above costs will be revised based on inflation. Cash flow: The couple's gross annual inflow from all sources is Rs 21 lakh. Their annual outflow is Rs 18.17 lakh. 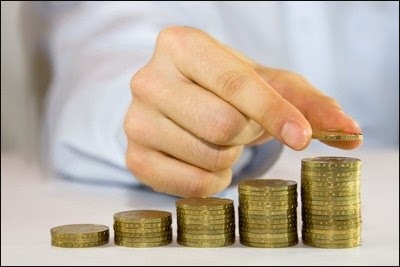 The monthly expenses include EMIs on loan, insurance premiums and other routine household expenses. Annual debt payments come to around 19% of total earnings. Net worth: The market value of the couple's entire assets is Rs 3.30 crore. These include personal assets worth Rs 1.20 crore comprising a house, a car and jewellery. There is an outstanding liability of Rs 31.80 lakh in the form of a loan. Contingency fund: Against the mandatory monthly expenses of Rs 1.13 lakh, the couple's balance in savings bank and as cash in hand amount to Rs 1.70 lakh. This is equal to about 1.5 months' reserve. 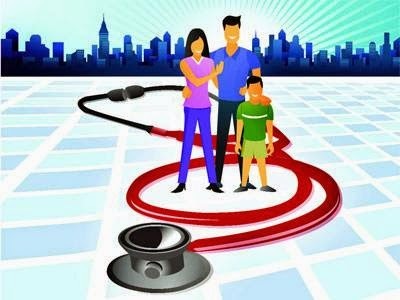 Health & life insurance: The family has a health cover of Rs 12 lakh. The life insurance of Avinash and Asavari is Rs 1.08 crore and Rs 22 lakh, respectively. This is mainly by way of term plans and a few investment-oriented policies. Savings and investments: In addition to the Rs 1.70 lakh in cash and as bank balance, the couple's real estate holdings, other than the house they live in, is worth about Rs 2.08 crore. Other assets are worth Rs 1 lakh. The couple's total invested assets are 70% of their total net worth. The couple has a decent fund inflow. Their savings rate is reasonably good, but contingency fund is insufficient, considering there is an outstanding home loan. Their health insurance is currently sufficient but will need enhancement as the children grow. Having life covers by way of term plans is good - this confirms the belief that term plans are the best, and even preferred by successful life insurance agents. Overall, the couple's assets are skewed in favour of illiquid real estate, which needs to be rectified by acquiring more liquid assets over a period of time. Contingency fund: The couple must keep aside funds equivalent to three months of mandatory expenses. They should maintain a contingency reserve of Rs 3.40 lakh, out of which Rs 25,000 can be held as cash in hand and the balance in an FD linked to savings bank account. Health and life cover: Over a period of time, the couple should increase health cover to Rs 5 lakh for each member of the family and also top-up the floating policy by another Rs 20 lakh. Avinash should enhance his life cover as he is the sole earning member of the family and the children are young, and his earning is only due to his skills. Children's education: The couple can invest Rs 15,000 each month in a large-cap equity fund to provide for their children's higher education. Children's marriages: They can start another SIP of Rs 2,500 each in both equity and gold funds to meet marriage-related expenses. Retirement: The couple can start contributing to PPF regularly. Once the financial goals of education and marriages are achieved, they can continue with an amount equivalent to those SIPs in equity funds to accumulate a retirement corpus. Also, at the time of retirement, they can consider liquidating the real estate holdings. Foreign travel: The couple should consider this goal only in the years when it can be funded from routine income. More than one million visitors from India are expected to visit the United States in 2014 with less-than-adequate insurance coverage. India Network offers affordable insurance cover to all visitors, providing coverage for new medical conditions and preexisting conditions. India Network Foundation, a long standing sponsor of visitor health Insurance programs for visitors to the US, announced today a travel alert to seniors visiting abroad to carefully review contract language to ensure they receive the highest level of medical insurance coverage possible that would help in times of need. A recent examination of overseas medical insurance plans offered by India-based insurance companies such as TATA AIG, ICICI Lombard, Bajaj Alliance, Oriental, etc., revealed that very low premiums are unsustainable even with ten percent loss ratios under actuarial models. Visitors with any kind of pre-existing condition, known or unknown, should carefully read the policy language of pre-existing insurance coverage before purchasing and embarking on the trip. Almost all insurance policies offered in the United States, with the exception of India Network Health Insurance Plans, have wording in their policy documents such as ‘sudden recurrence’ and ‘acute onset,’ etc. that would reduce claim paying probability close to zero. India is expected to send more than one million visitors to the United States in 2014 and has the distinction of the highest number of business visas issued by US. US Consulate offices in India are projected to process more than 2 million visitor visa applications (Asian Times, 2012) and that work load is expected to increase in double digits. 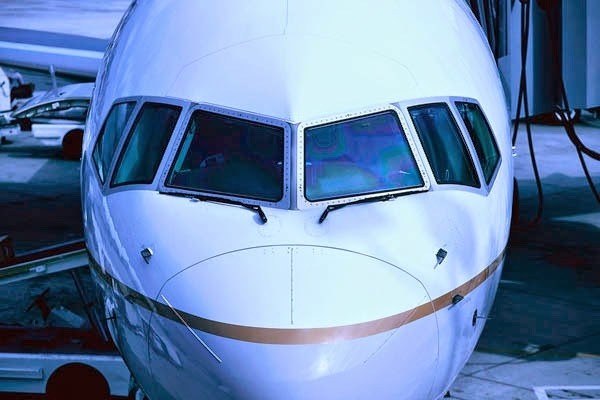 Any visitor getting on a flight to the US is advised to consider a serious health insurance program such as India Network Health Insurance program to protect them from unexpected medical sickness problems while visiting family in the USA. The India Network Foundation conducted an evaluation given the concern that many Indian visitors were unaware of various limitations of the low-cost fixed benefit policies to attract the price-conscious Asian Indian community in the United States. The study consistently identified contractual language that denies claims for sickness and hospitalization due to existing medical conditions identified within the past two to five years as well as high blood pressure and diabetes. In plans that advertise as coverage for pre-existing condition coverage typically contains language that would eliminate any claim paying liability. Age was another common exclusion with seniors ages 60 and older either denied pre-existing coverage or coverage severely capped. The India Network Foundation sponsored visitors health insurance program continue to offer excellent benefit package for all age groups 0-99 years old. India Network Foundation advises seniors to consider US-based insurers that offer simple to understand pre-existing condition coverage. One such option is available through India Network with a newly enhanced insurance plan to provide coverage for pre-existing conditions, providing out-patient, in-patient, accidental death and dismemberment, medical evacuation, and repatriation benefits associated with any pre-existing medical condition. The new plans have the same premiums, deductibles, and minimum and maximum durations with the added benefit of including out-patient benefits for pre-existing condition coverage, previously available only for new issue and accident coverage. The network-based (80/20) plan will continue to use Multiplan Network of PPO providers and the scheduled benefit Standard Plan and Premier Plans will continue as open network plans. India Network Foundation, established as a US non-profit organization, has been helping the Asian Indian community in North America with programs and grants to academics from India for more than two decades. India Network Foundation sponsors visitor health insurance to tourists, students, temporary workers (H1 visa holders) and their families. All insurance products are administered by India Network Services. India Network Services, is a US based company that administers visitor health insurance to transition residents, tourists, students, temporary workers and their families. Visitor medical plans are offered for all age groups with both fixed coverage, comprehensive coverage and with pre-existing condition coverage. Copyright 2013. Futurisk Insurance. Picture Window theme. Powered by Blogger.